Today Asus has launched a new laptop in India under its new series, ZenBook, its the first premium laptop announced under this series is Windows 10 powered ZenBook UX305LA which company has announced and it comes at the price tag of Rs. 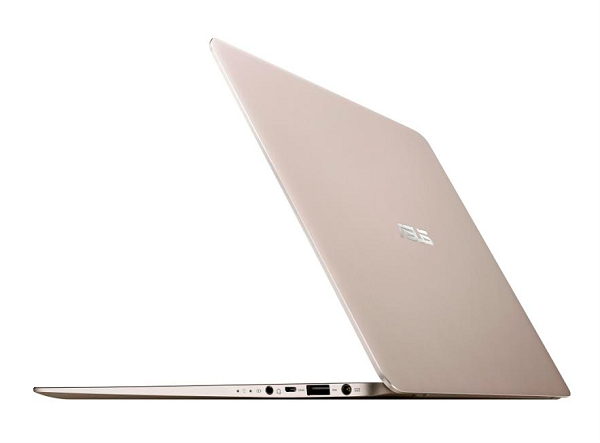 97,990 and it will be available from Oct. 15 on selected Asus retails stores as well as on online stores. The main USP of this laptop is its ultra slim profile, at just 12.3mm, it comes with world’s slimmest 13.3-inch QHD display, another thing which makes it premium is its full metal body which not only makes its look and feel premium but also adds beauty to the laptop. When it comes to specs, it flaunts an 13.3-inch LED-backlit QHD+ display with screen resolution of 3200×1800 pixels, under the hood it is powered by Intel’s fifth-generation Core i7-5500U processor clocked at 2.4GHz, it also supports TurboBoost frequency up to 3GHz, it got 8GB of RAM, company has said that i5 processor variant will be launched soon. Even being a metal body, it only weighs 1.30KG with battery, Asus ZenBook UX305LA runs on 64-bit Windows 10 OS out-of-the-box and it will be available in black, white and gold color options.